I found this quote on Pinterest recently and it was as if it was written for me at this point in my life. I cried a little when I read it. It’s sad that it spoke to me and I feel this way. It doesn’t pertain to anyone who reads my blog, guaranteed. It’s just that I wish I was honestly done trying to hard at the relationship. I wish I could truly say I’m done. I wish I was that strong. Unfortunately, it’s not that easy. 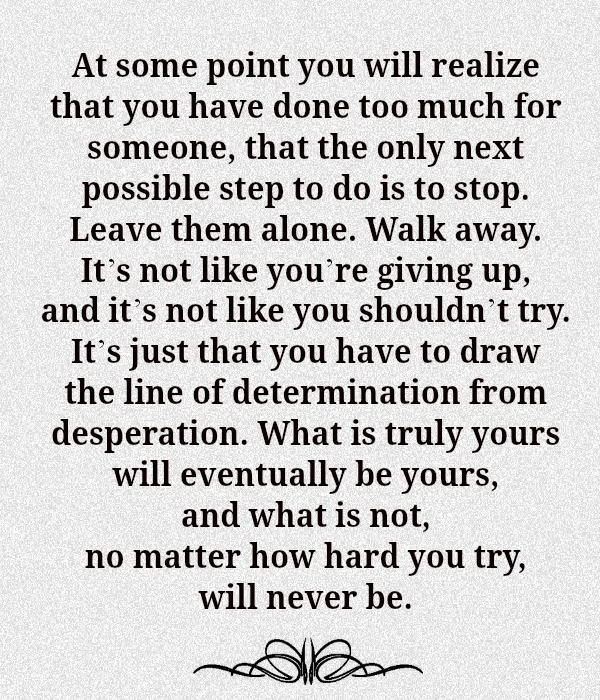 I will continue to read this and hopefully at some point I can draw that line of determination.